Orbs, what the hell are they? Well that's the question that has been running around the paranormal community for to long now. Personally I don't think we will ever find and answer that will satisfy everyone. Let me put it to you this way, if ghosts do exist, then one day it will be proven. If there is life after death then again one day it will be shown without doubt to be true. On the other hand, if there are no such things as ghosts, and no survival after bodily death, that will never proved to the satisfaction of every living person on the planet, purely and simply because need to believe in something. It's human nature. There is no proof that there is an all powerful Deity over looking our development. All we have is a book that tells us he is there and his son came to earth to teach the masses how to live in peace. That's it, a book, nothing more, yet people follow the writing's in that literary master piece with blind faith. On the other side of the coin is the case against a loving and caring God. Look at the amount of people killed in his name every day. It's not unusual to have holy wars where both sides worship the same icon and believe that s/he is on there side. How can that be? Would a forgiving all powerful God allow the atrocities we see every day perpetrated against our children? I think not! I could go on, the case against carries far more weight than the case for, but people all over the world, from under developed countries to the mightiest and most advanced nations still blindly follow the doctrines of a simple book! I'm not trying to put down any-ones religious belief's here, everyone has the freedom to choose what they believe, and I'm just trying to make a point. And that point is that people will believe what they have been educated to believe. Once that belief is installed in some-ones mind it is very difficult to dislodge it, and install new ideas. The same can be said about the orb phenomena. Many people's first foray into the paranormal is via TV show such as Most Haunted, or Ghosts Detectives, Scariest places on Earth. All of which to begin with extolled the orb phenomena as a ghostly manifestation. Many of these now accept that at least 98% of orbs caught on camera are easily explainable. However the people that watched these original programmes have been told by them orbs are ghosts, and they now find it difficult to accept any other explanation. I would like to touch on the technology most often associated with orbs, the digital camera. There are a few fundamental problems with the average consumer digital camera. I'm no expert but I will try to explain some of the problems below. This is a simple idea that is harder to explain than understand, but I will have a go any way. White light is made up of several different wavelengths or colours of light. This can be most easily seen and understood in rainbow when the rays of white daylight are refracted and separated by passing through drops of water in the atmosphere. This refraction splits the white light into to its component colours or wavelength's so we see the rainbow in the sky. In the same way a simple single glass lens will separate the different wavelengths and focus them on separate parts of the imaging chip. This can cause an effect called purple fringing. Quite simply blooming is the overflow of charge from pixel to another, caused by extreme lighting conditions such as a bright white light next to dark edge. Two very basic and fundamental problems that should make you think about the results gained from your average digital camera. Now let's look at what causes the actual orb to appear on the screen and the recorded image. The obvious answers are of course air born particles such as dust and moisture. We can also take a look at fibres from our clothes. So how is it that a tiny piece of dust floating free can appear the size of the size of a dinner plate? It's simply out of focus. So close to the lens when the flash fires that it so far out of focus its size can grow quite amazingly. Take a look at the diagram below. Yellow line = flash cover. 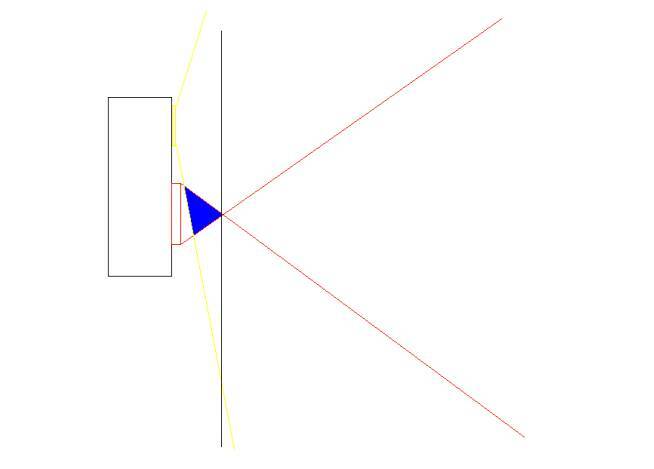 Red line = view of lens. Black line = point of focus. Blue area = area where orbs will be "seen" by the camera. Why in a room that must be full of dust do only one or two orbs show up? Well quite simply because the area in which the phenomena can occur is a very small area indeed so it's not inconceivable that only one or two particles of dust will stray into the area that is illuminated by the flash. So in a piece of technology that is so fundamentally flawed any thing out of the ordinary should be treated with suspicion and not immediately declared as paranormal. Here at UK paranormal we have captured 100's of orb photo's and are at this time sifting through them to get the best example's we can of each type so we can try and further explain the different types of orbs. Well that’s our 2 pence worth on the subject. However as we like to present as balanced a view as possible we would like you consider the following link. 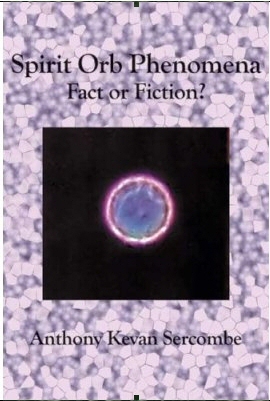 Spirit Orb Phenomena: Fact or Fiction? The views expressed in the review are not the views of UK Paranormal and are only published so you can make up your own mind.